Loved the black paper and white Prismacolor Pencils for drawing the hand Mandalas. Great to see energy presented this way. Intriguing book for art therapists, counselors, artists, energy workers and plain folk that like to create and relax. Judith Cornell was my teacher and this book changed my life. She helped me to go within myself and reconnect with the true me..:) I studied with her for three years and was certified by her as a Mandala Facilitator...she left this world in May of this year. I plan to help carry out her work. 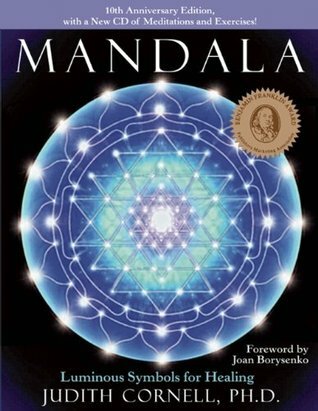 This is a thorough book (with CD) to help readers fully explore mandalas and meditation. It's great for beginners as well as experienced energy workers. There are loads of tips and techniques to be utilized. I really enjoyed this book. Great exercises for gaining greater insights to oneself. A thoughtful reflection on spiritual art. Engaging and inspirational.